Capable of supporting most TVRO, PCS, Cellular, and Microwave antennas (not included). 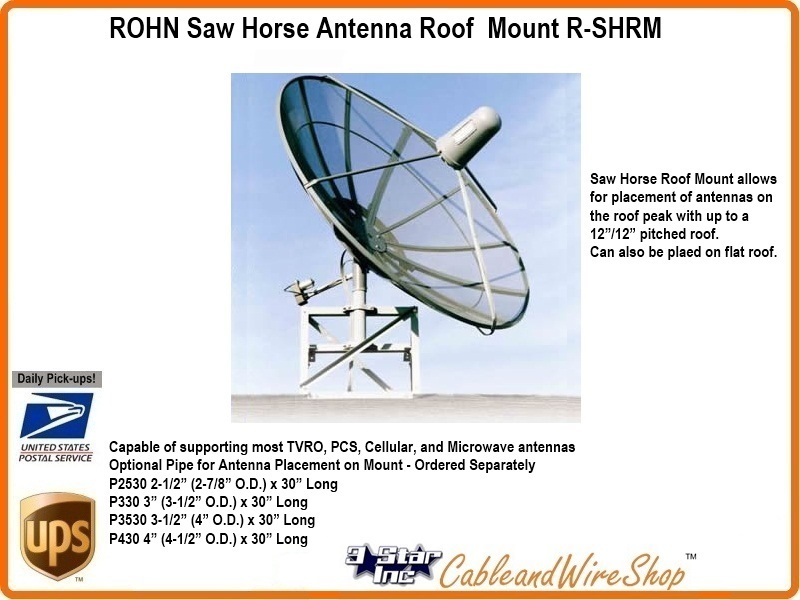 The Saw Horse Roof Mount allows for placement of antennas on the roof peak with up to a 12”/12” pitched roof. The Saw Horse Roof Mount is also able to be installed on flat roofs. Installation is easy because of the quick adaptability, plus there’s no need for concrete block. This non-penetrating roof mount is Hot Dip Galvanized after fabrication, and can easily ship UPS. NoteYou need to Consult an Engineer to determine the Load Bearing Capability of the roof that you are entertaining such an Installation. Please refer to the Chart (pdf link above) which is a great place to start in determining whether your circumstances qualify for such an installation. The first key to any reception is to get above obstructions that exist between you and your target, as radio frequency reception of any kind (satellite, microwave, Radio and TV) are for the most part "Line-of-Sight" dependant. The fact that some receptions occur without line of sight is due to phenomenon not applicable in this discussion. As you increase your target distance, you increase the territory you must account for in maintaining line-of-sight. What tall building and air traffic exist in this corridor, no one can account for. Aircraft are very good at messing up reception for a number of reasons, even when flying way above the path, again removed for clarity in this discussion. Height, is therefore key in optimizing your ability to capture the best line-of-sight possible to your target.The Roof of any Building of Home provides a Logical Platform of Height in which Line-of-Sight is more likely to occur, or from which, more height can easily be obtained. 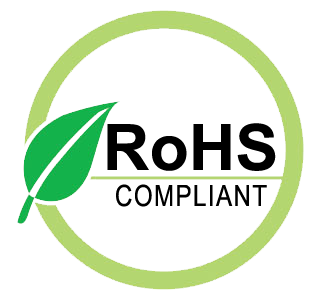 These Mounts are Quality made by Manufacturers with a History in the Field of Proven Success and Longevity. Whether you are planning to Install your Antenna and Mount to the Roof Peak, Gable, Vent Pipe, Chimney or Pitch, Please plan your installation to Minimize the Structural and Asthetic Impact to your House or Building, research and follow all applicable Local Building Codes and annex the appropriate Structural Engineering Assistance when utilizing Non-Penetrating Mounts with Concrete Cinder Block Ballast on any Flat or Pitched Roof.